ANNAPOLIS, Md. 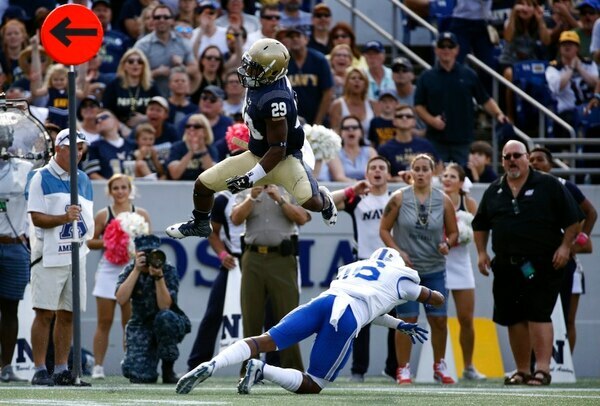 — For all its misdeeds in a very meaningful game, Navy found a way to come away with an emotional victory in thrilling fashion. Despite allowing five touchdowns after halftime, Navy (5-0) took a huge step toward regaining possession of the Commander-In-Chief’s Trophy, awarded annually to the team with the most wins in games between Army, Navy and Air Force. Though beating Army will always be the supreme accomplishment for Navy, this one produced no small measure of joy — especially because the winner of the Navy-Air Force matchup has captured the trophy every year since 1997. Well, 15 seconds just wasn’t enough time. “If we had a couple more minutes left we could’ve put a drive together,” said Worthman, who threw two touchdown passes and ran for two scores. 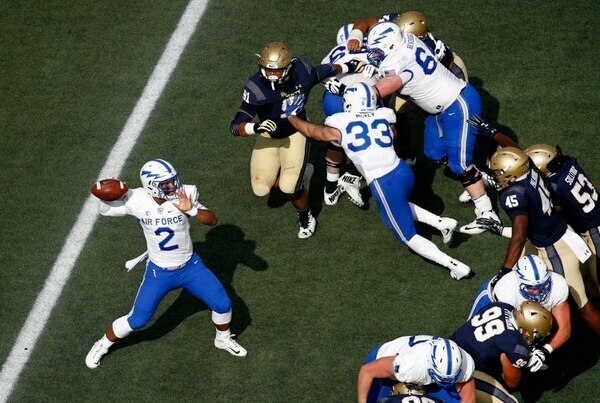 AIR FORCE: This young, rebuilding team knows how to move the football. But the defense is a mess. 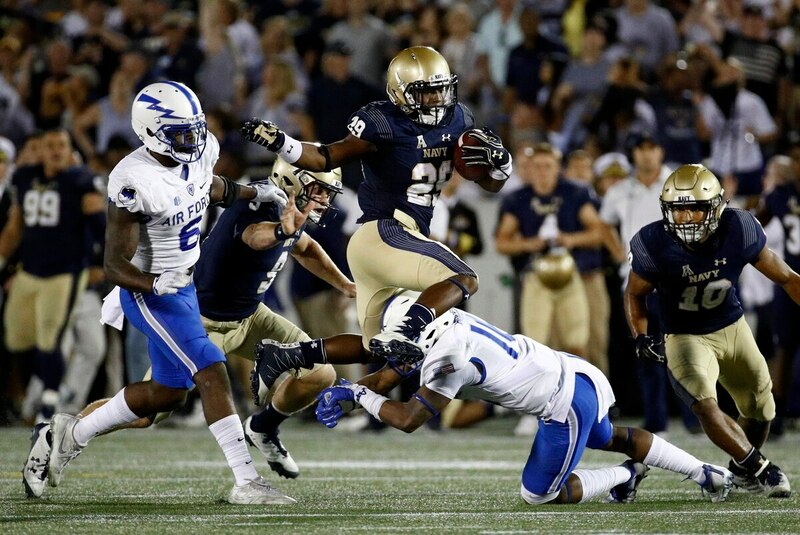 The Falcons yielded 56 points at New Mexico last week and weren’t much more effective against Navy. Over the summer, an operation to fix Jarren’s abnormally fast heart rate went awry. He went into cardiac arrest and had to be revived on the operating table.